Steve, while you are technically retired, you’ve found a second career that keeps you very busy. What other parts of your past helped develop you into the leader you are today? When it comes to education, I guess you could say I learned a lot along the way, the hard way. I dropped out of high school, went to Vietnam, then got my GED in the Marine Corps. When I got out, I used the GI Bill to go to college and later got my four-year degree. I spent most of my career (29 years) working with Areva, now Framatome. I took some development courses there that helped me learn how to lead people. I retired from the company 14 years ago. 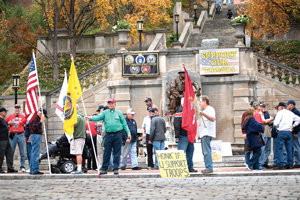 November 30 marked 17 years since those Friday veterans’ rallies at Monument Terrace. You have been a big part of that event since day one. Back in 2001, being a Vietnam veteran, I wanted those who were heading to Afghanistan to know they had our support. I was called on to help organize a veterans group to show support for the troops at Monument Terrace. I put the word out. We had 80 or 90 people show up on November 30, 2001. The next Friday wasn’t planned. But I had several veterans tell me, “Don’t you know what next Friday is?” It was December 7—the anniversary of the attack on Pearl Harbor. So I said, “Okay I will be back next Friday.” Then, it turned into every Friday after that. How did these rallies help unite the veteran community? 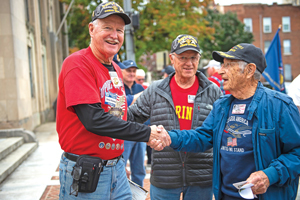 Over the years, so many vets have come down to Monument Terrace on Fridays, from all wars, plus all the leaders of all of the local veterans’ organizations. During the rallies, we would all get to talking. For example, at one point, we decided to do a fundraiser specifically for wheelchair bound veterans. We later started paying a third party to pick them up for their appointments. 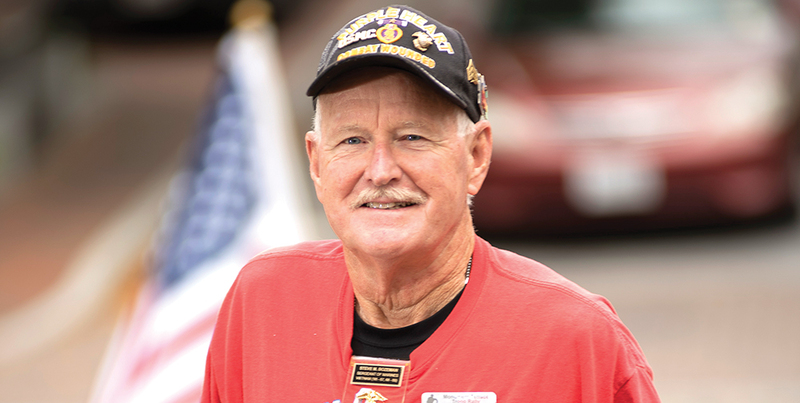 Then we realized we wanted to do more so we started helping others over the years—homeless veterans, widows and others. We finally realized we could help even more veterans by pooling our talents together in the Lynchburg Area Veterans Council, where I serve as vice president. This is a newer nonprofit in Lynchburg. How does it work? It was formed three years ago. Our bottom line is helping local veterans by putting all the leaders for local veterans’ organizations under one umbrella. We’ve got so many good people on this board—key people who know how to get things done. They are all volunteers and we have no paid staff. For example, if someone needs money, they can come to us, apply for aid and we have one person who vets them, making sure their claims are legitimate. Because we found some people were trying to scam the system and approach all the organizations. Now we know what each other is doing. We’ve also been able to collaborate on the annual Veterans Day Parade at Liberty University. This was its second year and it was 80 years overdue. The Council has also taken steps to increase its visibility in the community. 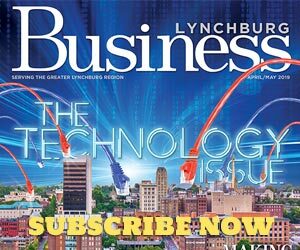 We’ve gotten involved with the Lynchburg Regional Business Alliance. We joined two years ago to be more connected with businesses because that’s where a lot of donations come from. We make businesses feel good about donating their money because it’s kept locally. There is so much money that’s out there, but we are trying to show people how important it is to keep donations local so we can take care of veterans in our community. Aside from helping local veterans, what else keeps you busy? One of my biggest passions is running. I started running after Vietnam to stay in shape and improve my mental health too. In October, I completed my 41st consecutive Marine Corps Marathon in Washington D.C. One of my other achievements is I hold the American record for finishing 16 Double Ironman Triathlons. I also have a large family: my wife Debbie, three adult children (two of our children, Shane and David, died in 2008), six grandchildren and four great-grandchildren. NextSentry Equipment & Erectors, Inc.